YEONGWOL, Gangwon Province -- As the ferry leisurely sailed toward Cheongnyeongpo Cape, Gangwon Province, a needle-floored pine forest gradually rose from a distance. In the thick of sweltering summer heat, the verdant woodland provided an umbrella of shade and cool breeze, a stillness suspended from the trappings of modern life. Whatever the ill-fated king’s inner reservations might have been, the sanctuary was a retreat from the capital’s clamorous pulses. Danjong reigned from 1452-55. Following palace intrigue, he was forced to abdicate and was eventually killed by his uncle, who became King Sejo (1417-68) and took to the throne as the dynasty’s seventh monarch. It is said that Danjong was ordered to drink the royally decreed poison “sayak,” a thick, inky bowl of death concocted from unknown, viperous substances, as often portrayed in historical dramas. Danjong was the grandson of King Sejong the Great, the inventor of the Korean writing system Hangeul and the nation’s favorite king, venerated for his benevolent and enlightened statesmanship. 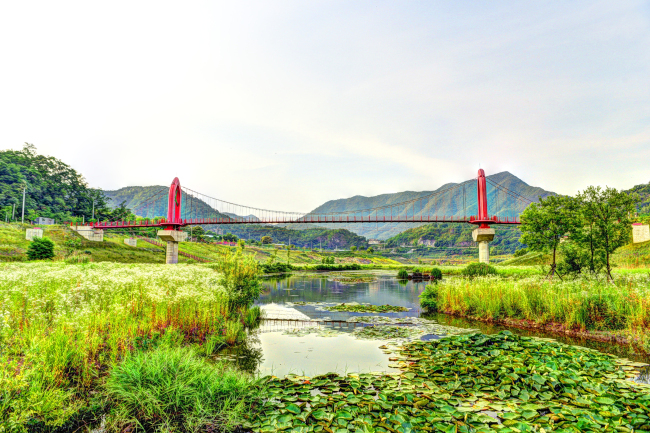 Cheongnyeongpo in Yeongwol County is ensconced by an undulating river on three sides and a rocky cliff on the other. It forms an impregnable enclave surrounded by corrugated mountain ranges. On the cape, a tiled-roof complex of hanok buildings, Danjong’s home, greets visitors. 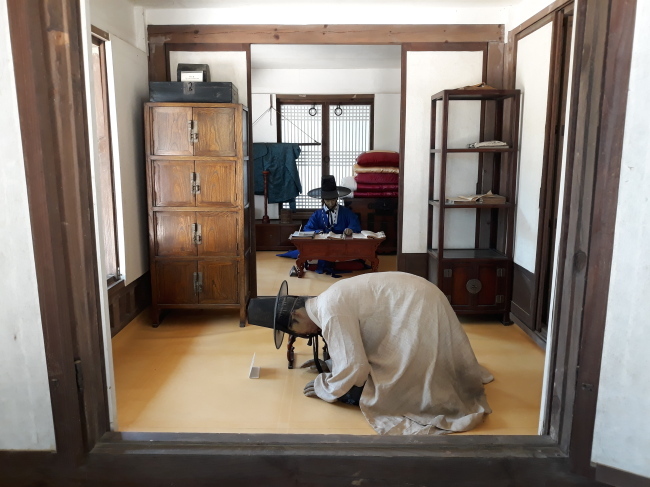 Replica models of the king and his servants, all clad in hanbok, as well as wooden furnishings, offer a rare glimpse into the life of the Joseon royal household in exile. The house was rebuilt in 1996 after a flood swept away the former structure. One peculiar presence is a 30-meter pine tree that soars mightily into the sky. The largest of its kind in Korea, it is estimated to be over 600 years old. Another pine tree inside the Danjong compound slants toward the king’s residence, an old account asserting the tree reached out to its blighted lord. 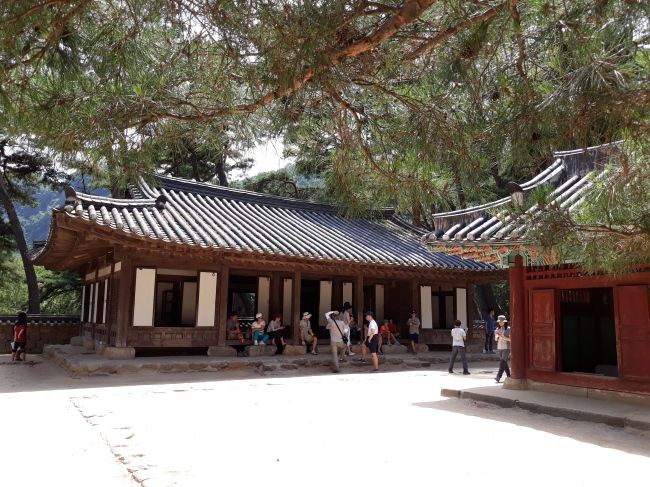 After walking a well-trodden path to the top of the cape, I absorbed, breathed and smelled Yeongwol’s serene, bucolic landscape that unfolded over a panorama. 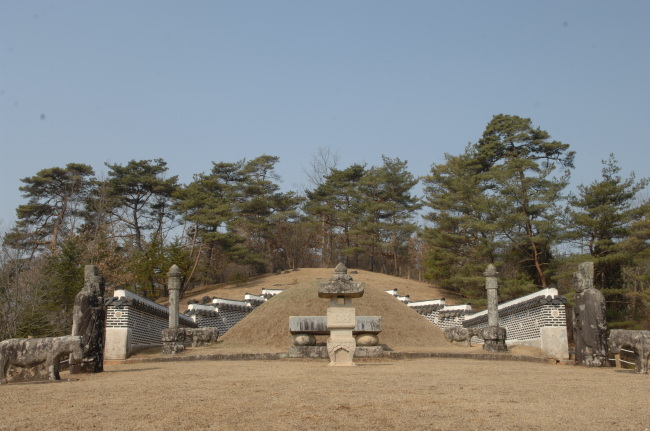 Danjong is buried at Jangneung Mausoleum near Cheongnyeongpo, a UNESCO World Heritage Site since 2009. There is also a history museum there illuminating Danjong’s legacy and times. The Yeongwol County Office commemorates the king at the annual Danjong Cultural Festival in April. A plethora of events take place, including national music gukak performances, fireworks, incense burning and lantern lighting. An archery competition, traditional wrestling tournament, tug-of-war, costume parade and royal procession and cavalcade also add to the festival’s pomp and pageantry. Visitors to Cheongnyeongpo can stop by Yeongwol Riverside Detention Ponds Waterside Park, a 770,000-square meter recreational area adjacent to the cape. The place is ideal for camping and bicycles, which can be rented. The bike paths swerve around the artificial ponds, replete with lotus flowers, flora and fauna. 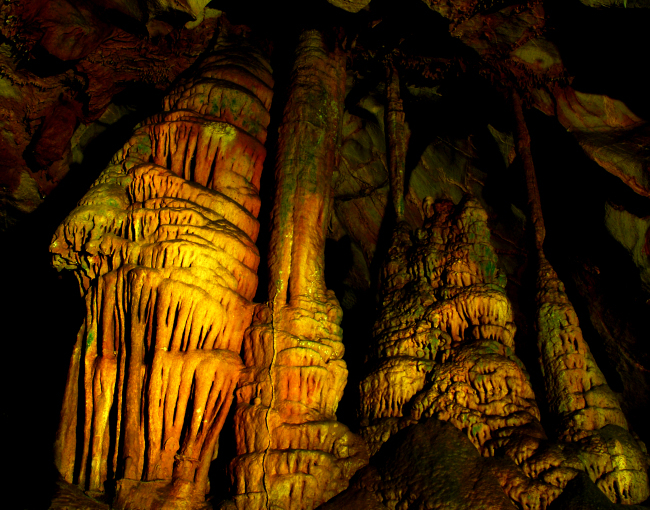 Following Cheongnyeongpo, I headed to Gossi Cave some 15 kilometers away. The limestone cavern, formed 400 million to 500 million years ago, was discovered in 1966 and opened to the public in 1969 as a national treasure. It was named after 16th century scholar Go Jong-won, who fled there from the invading Japanese Army. His wife reportedly plunged into a waterfall and died inside the grotto during an escape. As soon as I stepped inside, the chill in the air enveloped my body. With the main tunnel running 950 meters -- some 500 meters of which is open to the public -- there are streams, cascades, corals, pearls, pisolites and flowstones, which shimmer and scintillate in different colors. Bats, shrimp and other animals also inhabit the cave. Yeongwol is home to many galleries and museums, including the African Art Museum, Joseon Minhwa Folk Painting Museum, Yeongwol Insects Museum, World Folk Instruments Museum and International Contemporary Art Gallery. The Korean Peninsula Cape, in the shape its name implies, is best seen from an esplanade across the river. It is a surprisingly pleasant, picturesque view. 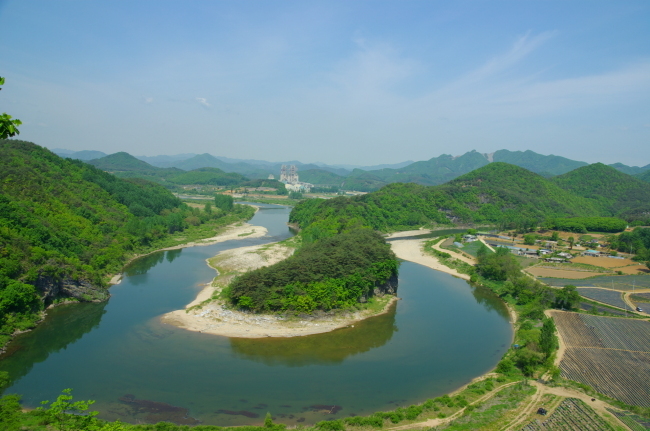 Rafting, tubing and other watersports are popular on Yeongwol’s many tortuous rivers. After a day of traveling, visitors can gaze at the stars at Byeolmaro Observatory. 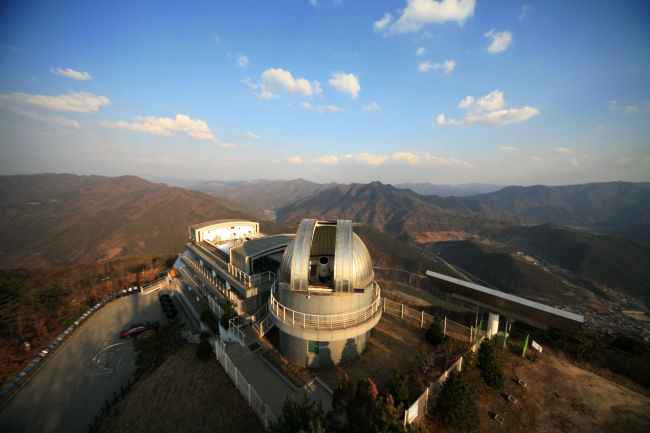 It is the nation’s largest observatory, located some 800 meters above sea level. At the observatory equipped with an 80-centimeter-diameter main telescope and several smaller telescopes, one can observe the stars some 200 nights of the year. Compared to the dust-filled spring and hazy summer, people say it’s easier to see the moon, Venus, Mars, Jupiter and Saturn, as well as other planets, stars and nebulas, in the clear autumn and winter.